On this festive season, you can send cool animated images to your loved ones - a la SAS way!!! Here is how you do it. Add a filename email with the required to/cc/bcc id's. Include the HTML img tag and give the following source path as shown below. Wish You a Merry Chirstmas!!! There has always been a debate between using a GUI-based, windows-freindly FTP client like WinSCP and a conventional telnet client like PuTTY. One party says that its Easy to use and doesn't need any unix knowledge to perform any operations; and the other says that one needs to have such roboust telnet clients to "keep in touch" with the commands/syntax and accept the fact that not everything in the world is "Winowized". Now you would be able to see your unix home directory in your windows explorer if you are using IE 6. If you are using a IE 8, then click on Page and click on Open FTP Site in Windows Explorer. You may be prompted for a user id and password again. Now save this link in you favourites and next time you want to login, you could just open a windows explorer and login using your credentials. Having this in mind, i tried searching about some articles on resovle function in google but in vain. There are lot more number of articles and examples of symget usage and call execute functions as compared to the resolve functions which accomplishes both these functionality. I've illustrated below, a few simple examples of various uses of Resolve funtion. 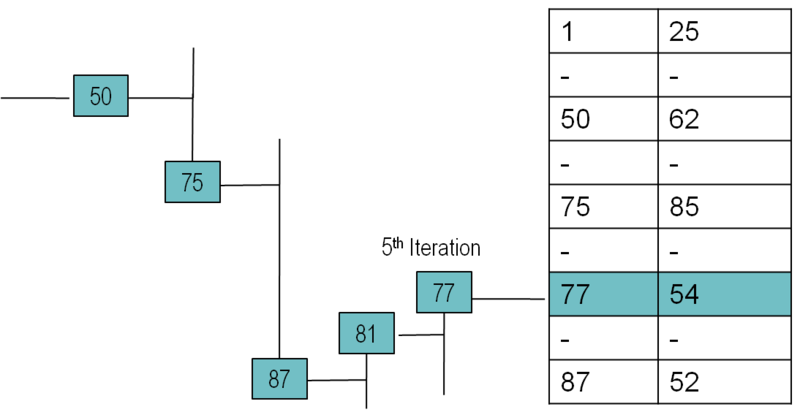 Both the variables in the above datastep returns a character variale of length 200 each having the value of the current date in date9. format. We can also use resolve function to resolve multiple macro variables (which is unavailable in symget). 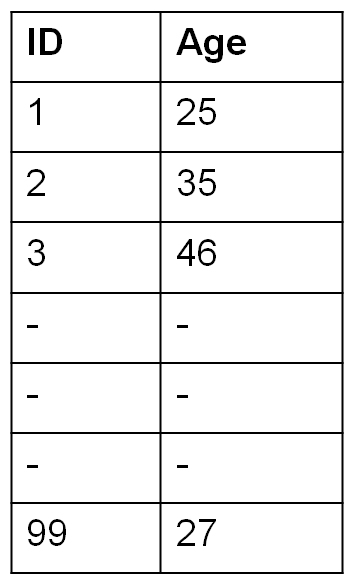 NOTE: Table WORK.TAB12 created, with 2 rows and 5 columns. In the above example, I'm trying to append multiple datasets which are created out of sashelp.class (for each age values). Here, I'm trying to execute the %sql macro in a datastep loop, and passing both the macro variable and the data step variable as the macro parameters. This example also shows how to conditionally execute the macro variable based on the parameters passed. I've pasted below the log message for the above code. Also note that the iteration number is printed at the begining of the every iteration's resolution. NOTE: Table WORK.TAB created, with 19 rows and 5 columns. I suggest everyone to subscribe to this feed. It has the aggregation of many big names in SAS blogging like Chris Hemedinger, Mark Stevens, Jared Prins, Rick Wicklin, and many more!! There have been innumerable number of posts on indexing in SAS. One such brilliant post is found in the below link.. Note: I've considered a B-Tree index. I'm sure SAS uses other better ways to maintain the index table. 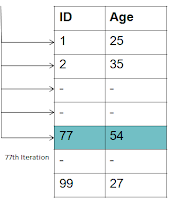 Lets consider an example where we have a dataset with 2 variables ID and Age, and having 100 observations with Id values ranging from 1 to 100. Nothing unusual happens :-) Query runs to completion! Just that the SAS Complier starts searching the number 77 sequentially from the beginning and would need to make 77 passes to make the right hit! 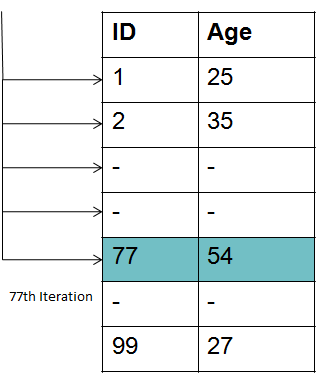 If the Table is indexed, (on ID in this example) then the complier first compares if the key variable (77) is less than 50 or greater than 50. 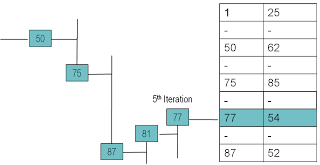 Then in compares if the key variable is greater than 75 or less than 75, and so on.. Until a match is found. Thus the number of iterations here is reduced drastically in comparison to the non indexed table. Note: The example considered above has just 100 observations. This was just for the ease of explaination. 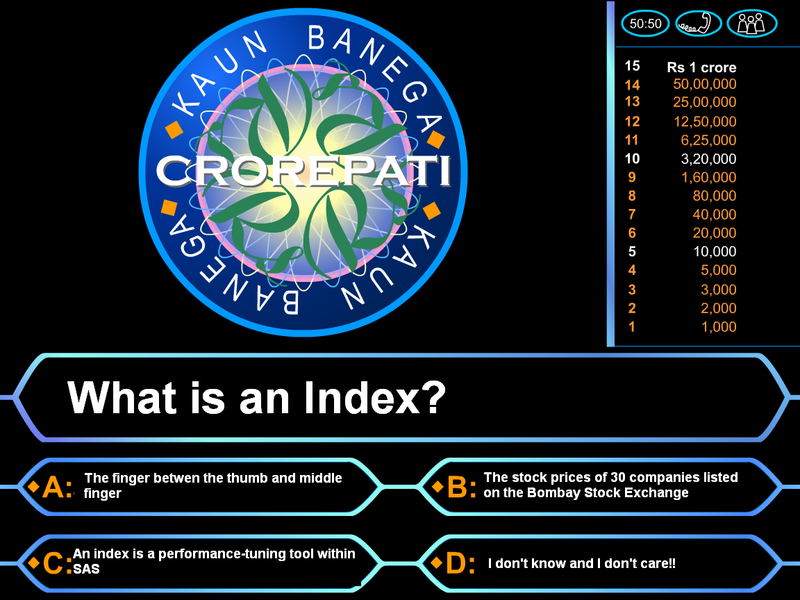 In reality, indexing for 100 observations would not change the performance much. However, indexing are found to be pretty efficient when the dataset size is huge. I came across an interesting procedure today.. Its called as proc explode! This procedure enables the user to blow up the text in nice formatting and display it on the output screen (I think only in listing). This reminds me of the 'banner' command in the ol' UNIX boxes. You can try the explode procedure yourself by copy pasting the below code..
Just a word of caution! Please be mindful about the space before HELLO WORLD in the proc explode step. It throws up an error if we forget that space because SAS expects a numeric or some specific characters in that place (some options for changing the formats of the display). Now the encoded password can be used everywhere by reading the contents of the file Pwd.txt. Whenever we assign a libname (especially a libname to a database), we would want to be sure that the library path should be valid/existing. When it comes to assigning a libname to a database, example oracle, we may also want to confirm if the user-id and the password are valid. Similarly we can also do a check for the filename by using the automatic macro variable - %sysfilrc, which returns a 0 value for successful filename statement and a non zero value if the filename statement failed. The problem with this method is that I would need to store my user id and password in the variable LOGIN and PASSWORD and read it everytime. This can be done by saving these variables in another read only file and then reading them everytime we FTP a file. Also we may need to keep updating our passwords as and when we change it. This would help us FTP the files without having us to provide any login credentials anytime. Many a times we would want to remove the subversion folders which are present in the project directory for various reasons. (Eg: Copy the structure to another drive, zip it and mail it, etc..). The subversion folders are present in every directory (Eg: .svn, .cvs, etc...). This script, when executed in windows command mode, removes all the .cvs from the directory structure. for /d /r . %d in (.cvs) do @if exist "%d" rd /s/q "%d"
Now that we know how to find a string in a list of files in the home directory, we may also want to replace the string with something else..
Eg: Replacing a password in all the files as and when it is getting changed. We've become so much addicted to find/search functionality these days that I tend to look out for Ctrl+F button when I want to find something on a hard bound book as well!! It just searches through your home directory for a file (type -f) with any name (-name "*.*"). If you are sure of the type of the file you would be interested in then you can also specify it in the -name option (Eg: -name "*.c" for all C programs, etc). -exec allows us to execute any command in Unix. Here I'm using the Grep command to search for the text MYDB2PASSWORD. Many a times we might come across a situation where we would not be able to determine the informat of the date or datetime variable that needs to be read into the SAS dataset. Or me may at times fail to remember the informat name for a particular date informat. To address these problems, SAS has come up with a common informat for reading the dates for all types of formats - ANYDTDTEw. However, if we were to have a date being represented as "02/03/04", then it could be quite confusion for us as well as the SAS compiler to know the exact date informat that is to be read in. To overcome this problem, we use the SAS System option - datestyle. The possible set of values for the datestyle option are: MDY MYD YMD YDM DMY DYM LOCALE. I am a bad typer. And I have a short term memory loss. Remembering the syntax, typing a lot of code (especially the repeating ones)... Na... Not my cup of tea..
SAS Enterprise Guide (4.1 onwards) has come up with a one shot solution for people suffering from my kind of syndrome - Adding Abbreviation. So.. I use the Abbreaviation 'Pr' and enter the text (rather Copy & Paste) as shown in the above image. Click Ok.
Now, hit the tab or press Enter and you have the code on your Screen! You can also edit your Abbreviation by going to Code -> Editor Macros -> Macros. Select the required macros (if any) and Click on Edit. Yippie!! I make my entry in Blogspot!! Have you ever wondered how to format your output in the style you want? How to get your favorite header colors, your favorite fonts and maybe even a background image(???) to your report you generate in SAS? Well, it can all be done in SAS Enterprise Guide using your Style manager. Alternatively you can include your favorite stylesheet css file ( you get a lot of them on google.. Or you can create one on your won...) in your SAS EG..
Go to Tools -> Style Manager. Here you find a variety of built-in styles on the left pane. If you see the url column in the Style List, you can notice that these are nothing but the pre defined css provided by the SAS Enterprise Guide. You can select the Active element in the left bottom corner and chosee the element to which you need to apply the style. Eg: Choose Title and Note Corner and apply the color you want to add, etc. You also have the option to add a new element by clicking on Add element. Eg: Click on the Header available in the Preview window, and click on Add Element, give a suitable name and then add your customization. You can similarly customize your table borders, add an image, change fonts, add a custom footnote, etc. Lastly, if you still are not satisfied with any of these features, you can always download a css from various sites and add them into the style manager by choosing the 'Add new external style' option. So... 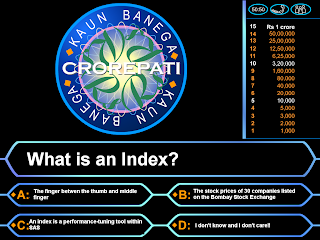 The ground is open for you guys to play around and experiment.. Its a neat wizard which allows you to customize your report to a fairly good extent..